In this post I'm going to you how medicine actually works when you take it.. Most of the people take medicine by mouth and it targets the affected area of the body. It first enters the stomach, where there started to dissolve but this process depends on medication type. Some medicines gets dissolved in the stomach lining, others move into the small intestine. 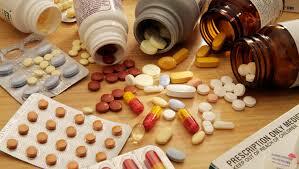 We see different medicine tablets, capsules and injections. This medicine, which we don't want to be dissolved in the stomach by HCL, we pack them into capsules so that they move into the intestine. If we don't pack into capsules the content will destroyed by HCL and become useless. The other reason of covering with capsule is that it may induce higher hydrochloric acid that is very harmful. When medicines not dissolved by stomach than it is dissolved by the inner lining of the intestine. The inner lining of the intestine has three parts. From the small intestine it moves to the blood stream. This is because the concentration difference it moves from higher concentration fluid to lower concentration fluid i.e. The blood. It doesn't matter from which you take medicine it .Always go to the bloodstream form which it circulates the whole body. It started from one point and moves organs and tissues. This is a very rapid process. The reason behind this heart pump a full cycle of blood in about one minute. During this the medicine molecules are being delivered to the whole body. The brain is the organ which receives the major portion of medicine, it consumes about 16%. The medicine keep it alive until metabolism begins. The metabolism for each medicine is different. Some gets broken down and eliminate from the body more quickly than others. This is the reason we take medicines frequently after 2-4 hours. A medicine may already be broken down when they pass through liver at first. This process is called "first pass effect". Some of the medicine passes through liver several times before they eliminate from the body. We are discussing about metabolism but did you know what is metabolism?>>> It is the biochemical activity of substance in a living organism. Now we talk about the cellular level. Inside the body tissues we eventually get into to the cellular level. The cells can absorb fluid from the body and it also soaks up the molecules of medicine from the blood fluid that surrounds them. But this depends upon the type of medicines some medicines gets absorbed quickly but some take time. cellmembarne of cell have a high content of fats. That's been the reason those who gets absorbed in fats works more quickly than those who take the time ( slow ). The ability of absorption of medicine molecules in blood decides how fast medicine actin body. In the cells, most of the work do.it re-enters the bloodstream and taken with liver where it further broken down and prepared it to eliminate from the body. The main organ which makes the process of elimination are kidneys and liver. These organs help in removal of toxic substances from the body. The function of the liver is to break down of compounds by a series of complex metabolic substances. These toxic compounds store in liver until they are ready to pass to the kidneys. From which they further process and eliminated from the body through urine.